Yoann Olivier carried out a PhD thesis under the supervision of Prof. Jérôme Cornil at the Laboratory for Chemistry of Novel Materials at the University of Mons and completed it in September 2008. 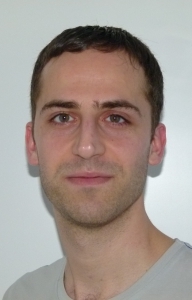 From 2009 to 2013, he held a postdoctoral fellowship from FNRS (Belgian National Fund for Scientific Research) and went on postdoctoral stays with Prof. Claudio Zannoni (Bologna) and Prof. Henning Sirringhaus (Cambridge). His research interests deal with the understanding of electronic processes in organic conjugated and 2D materials, especially, charge transport using a multiscale approach combining quantum-chemical methods, Monte Carlo approach and molecular dynamics simulations. Recently, he developed an interest in a new class of materials for organic light-emitting diodes exhibiting thermally activated delayed fluorescence, focusing on their electronic structure and their energy transport properties. “Approaching Disorder-Free Transport in High Mobility Conjugated Polymers”. D. Venkateshvaran, M. Nikolta, A. Sadhanala, V. Lemaur, M. Zelazny, M. Kepa, M. Hurhangee, A.J. Kronemeijer, V. Pecunia, I. Nasrallah, I. Romanov, K. Broch, I. McCulloch, D. Emin, Y. Olivier, J. Cornil, D. Beljonne, and H. Sirringhaus. “Electronic Structure and Charge Transport in Nanostripped Graphene”. J.X. Lian, A. Lherbier, L.J. Wang, J.C. Charlier, D. Beljonne, and Y. Olivier. Journal of Physical Chemistry C 120 (2016) 20024-20032. “Dynamic Nature of Excited States of Donor-Acceptor TADF Materials for OLEDs: How Theory Can Reveal Structure-Property Relationships”. Y. Olivier, M. Moral, L. Muccioli, and J.C. Sancho Garcia. Journal of Materials Chemistry C 5 (2017) 5718-5729. “Nature of the Singlet and Triplet Excitations Mediating Thermally Activated Delayed Fluorescence”. Y. Olivier, B. Yurash, L. Muccioli, G. D’Avino, O. Mikhnenko, J.C. Sancho-Garcia, C. Adachi, T.Q. Nguyen, and D. Beljonne. Physical Review Materials 1 (2017) 075602. “Computational Design of Thermally Activated Delayed Fluorescence Materials: The Challenges Ahead”. Y. Olivier, J.C. Sancho Garcia, L. Muccioli, G. D’Avino, and D. Beljonne. Journal of Physical Chemistry Letters 9 (2018) 6149-6163.